It’s an annual tradition in Kansas City, and once again, the amazing ladies and gents from the various Kansas City roller derby leagues will be on hand this Saturday, January 25th, to raise money for Special Olympics Kansas at the 2014 Polar Plunge & Strut. Click for the official web site. Full details are on the web site, but registration begins on-site at 9 a.m. this Saturday, or you can pre-register on their web site. The 5K Strut ($25) begins at 10 a.m., and the Plunge itself ($75) will begin at 10 a.m., 11 a.m., or Noon, depending on which group you’re in. 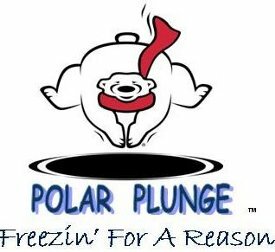 Don’t forget to check out their Plunge Day Checklist if you’ve never done this before. The official KC Roller Derby plunge page is here. Join KC Derby Digest and the amazing members of the Kansas City roller derby community this Saturday morning at Shawnee Mission Park Swim Beach for the annual Polar Plunge and 5K Strut to benefit Special Olympics Kansas! We will see you out there!